It is very important to know the behaviour and interest of each email subscriber. So you can easily filter your email subscribers who actively opened your previous email campaigns. 1. To filter an email list with subscriber based on email opens, first select an email list and go to the “List” option. 2. 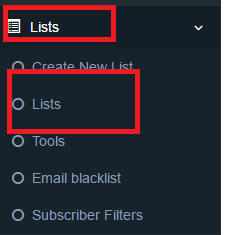 Select a List and click on “Subscribers” option. 3. Click on “Filter” option from right corner of the screen. 4. Choose one of the option from “show only subscribers” such as Did open, Did click, Did not open and Did not click. 5. Now, choose the campaign from which you want to filter the subscribers. 6. You can accordingly choose the Day, Month or Year when the subscribers opened, clicked, not opened and not clicked the emails and click on “Set filters” tab. 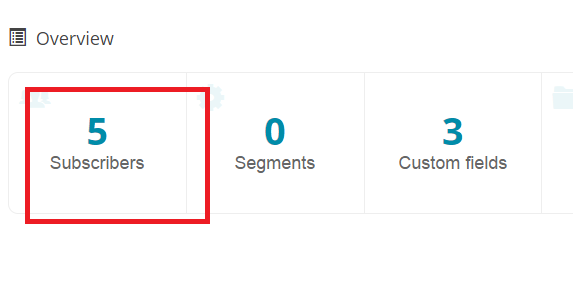 Below on the same subscriber page you will get all the emails which satisfy the above conditions filter.